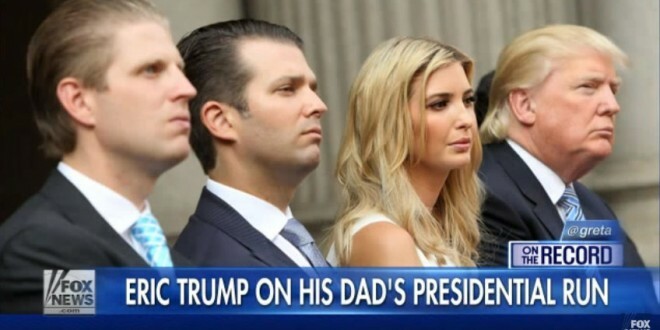 Eric Trump Backs Daddy's Suggestion That Ivanka Should Be His VP: She's Smart, Beautiful, & Of Age - Joe.My.God. Eric Trump on Thursday floated his sister Ivanka Trump as a potential running mate for his father. Trump noted that his sister will turn 35 just before the election — the minimum age required by the Constitution to be president or vice president. Ivanka Trump is expected to be a prime time speaker at the convention.